My son is a lot of things.. He’s curious, smart, a wonderful singer, super cuddly at bedtime, extraordinarily energized in the morning, and most definitely a force of nature. He loves to help me with chores and is incredibly sweet with his baby sister. And don’t even get me started on the cuteness of when he tries to wrestle his daddy! But, he can sometimes let his emotions be his boss… instead of the other way around. Yep, my sweet little guy sometimes isn’t quite so sweet. It’s a fact of life…kids sometimes have trouble taking control of their emotions. It’s actually hardwired into their brains that they don’t yet have fully functioning emotional regulators. The prefrontal cortex of our brains (which helps us think ahead and regulate emotions) isn’t fully developed until our 20’s. Isn’t that crazy? No wonder toddlers and preschooler are prone to meltdowns. 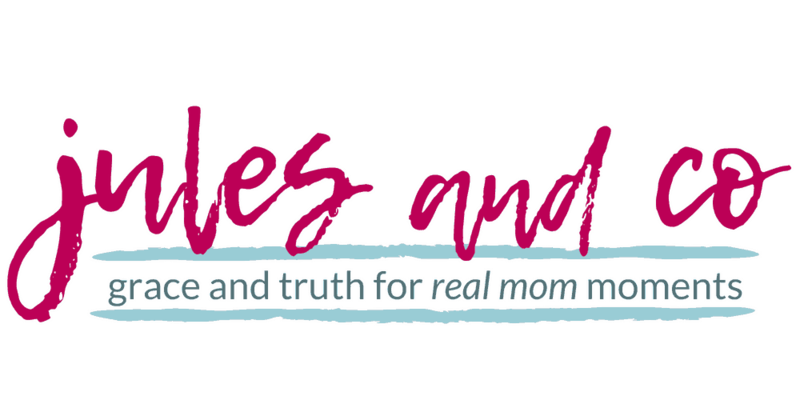 Hey, even mamas and adults let emotions rule at times! It’s nothing to be shocked by. Certainly nothing to be embarrassed about for a preschooler. But it is something to be intentional about. Disclaimer: This post contains affiliate links for your convenience. 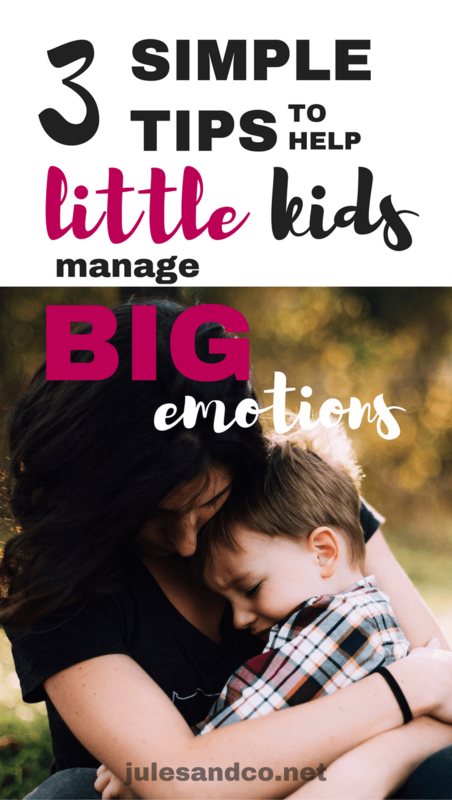 How can you help your child manage BIG emotions? Over the past few months I’ve started to be more intentional about coaching my little man when it comes to handling those big emotions. Do these strategies work every time? Of course not. 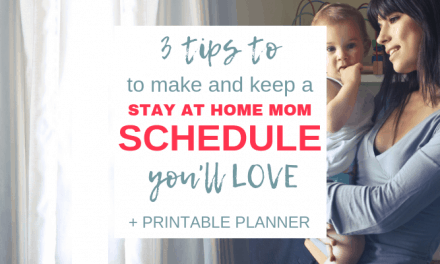 One of the unwritten rules of motherhood is that you’re constantly playing catch up to your child’s changing abilities and needs. My sons does a spot-on robot impression, yet he is not, in-fact a robot! Every day he has to choose to be the boss of his emotions. Otherwise, they’ll most certainly boss him around instead. So as you try out these tips, keep this in mind… Consistency is ev. ery. thang! Say it with me… “If I can do it once, I can do it twice. If I can do it twice, I can make it a habit.” That’s the key here, to make these attitude-changing strategies as natural as breathing. If it doesn’t work the first time, keep trying! 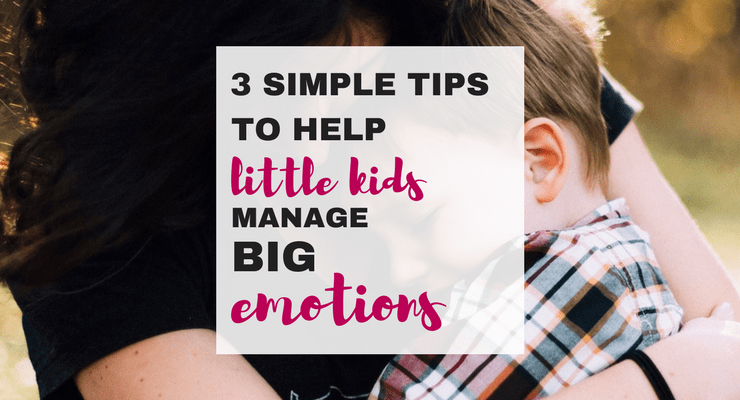 I’m certain one of these will help you and your kiddo manage those attitudes and emotions as well. It’s a powerful thing when a child realizes that he doesn’t have to listen to the negative voices in his head. Happiness is a choice! Bonus Tip: If your little one has a hard time getting into this habit, help him out! I like to joke around like this, “Let me help you out, can I tell your belly button to be happy? How about your armpit? Armpit, be happy!” My son can’t hold in the giggles! Related: Almost at the end of your rope? 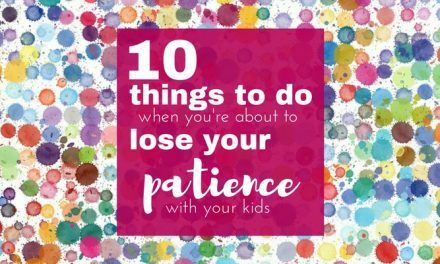 You need these printable cards to help you keep your patience! If you have a strong-willed child, you know just how important independence is for their self-esteem. Sometimes when my son is showing a pattern of bad behavior or a bad attitude, I’ll bring it up to him this way: “Son, we have a problem. I see that you’re letting your emotions keep you in a bad attitude. Can you help me? What are you going to do to solve this problem?” I’ll be honest, this doesn’t always work. But when it does, it’s so empowering for my child! Don’t forget to connect with your child! When your kiddo knows you’re on his team, he’s much more likely to help solve those attitude problems. Try this list of ideas to connect for starters! Well, our Bible verse for the past few weeks has been so, so good! Colossians 3: 2 says, “Set your mind on things above, not on earthly things.” I like to make things fun for our Bible verse, so we start our by putting on our “grumpy faces.” Then I’ll tell the boys, “But wait! Set your mind on things above, not on earthly things.” I’ll wave my finger in the air like I’ve just discovered sliced bread. This is exciting news! We recite the verse together, then I ask them, “What are you thinking about?” Sometimes they’re thinking of things that are literally above, like the moon. Other times I encourage them to think of heavenly things. Either way, their minds are set on positive, enriching ideas! You could easily choose your own verse to cling to instead! 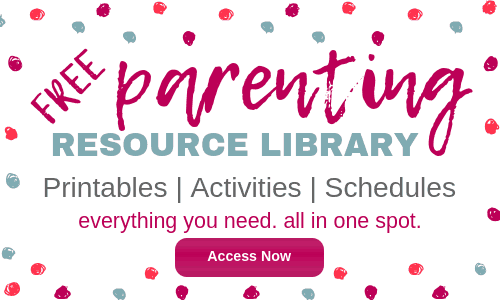 An amazing resource for this is the book Parenting with Scripture: A Topical Guide for Teachable Moments. This book lists practically every situation you’ll encounter as a mama, from backtalk, to self-control, to whining. 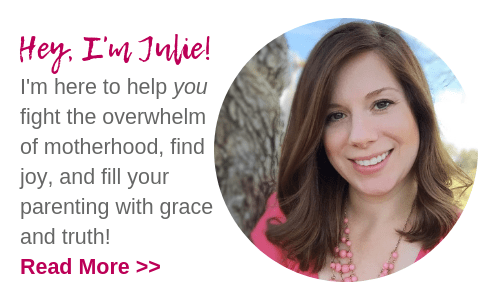 It’s all in alphabetical order so you can quickly find the perfect verse to speak to your situation along with practical tips for making the most of that teachable moment. Related: Looking for more ways to be intentional about teaching your child about Jesus? 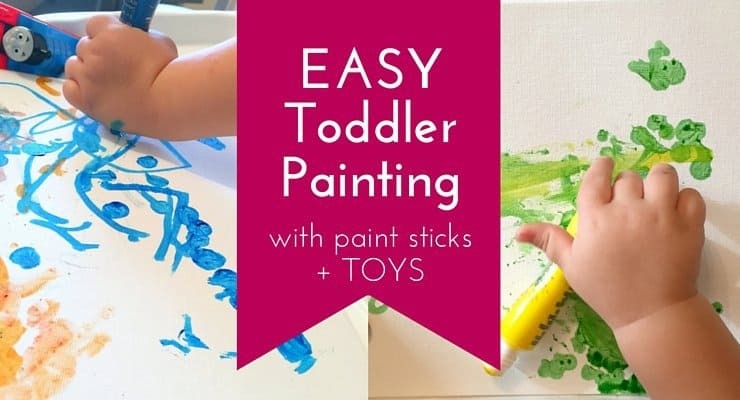 Check out my toddler and preschooler-approved monthly activity guides! Combine heart work and brain work in easy weekly lessons you can do with your child at home. Click here to find out more! Here’s the bottom line: You can choose! There’s a tendency to say that this type of self-talk only works on the surface level. Can we really expect our children to hide these emotions? Should we force them to put on a smile when they’re really sad? To laugh and joke when they’re genuinely upset about something? Here’s my advice: if your child is having a meltdown over something truly upsetting, like losing a pet or getting injured, then deal with that differently. Show empathy and comfort, then redirect their thoughts. However, if it’s just a tantrum, whining, or your little one is plain ol’ pitchin’ a fit, then teach them that they can choose to feel differently. They can choose to feel thankful even when they don’t get their way. They can choose to feel joyful even when things don’t go as planned. They can choose. Listen, I get it. Toddlers and preschoolers come with BIG emotions, and no instruction manual. But we can always choose to be intentional! What strategies or tips do you use to help your child banish those bad attitudes? NextThree Month Old Baby Sleep Schedule: 3 Problems and How to Fix Them! 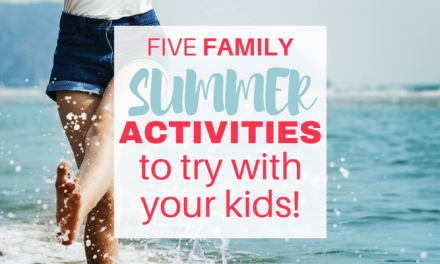 Five Summer Family Activities to Try with your Kids!